Goring Gambit Declined d5 - Chess Gambits- Harking back to the 19th century! With 4...d5, Black declines the gambit pawn, instead focusing on the mobilisation of the black pieces. 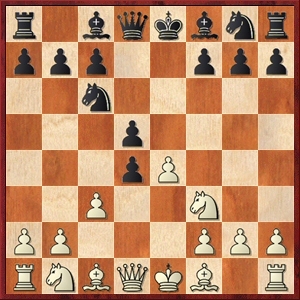 In most variations, White ends up with an isolated pawn on d4, but aims to compensate by generating considerable piece activity into the middlegame, and while Black initially gets a lead in development, Black has to be quite careful, as White's forces can spring into life very quickly. Many authors recommend the 4...d5 variation with the aim of reaching a drawish endgame using an approach introduced by Capablanca in the game Marshall-Capablanca, Lake Hopatcong 1926. The line runs 5.exd5 Qxd5 6.cxd4 Bg4 7.Be2 (or 7.Nc3 Bb4 8.Be2 Bxf3 9.Bxf3 Qc4) 7...Bb4+ 8.Nc3 Bxf3 9.Bxf3 Qc4. Black threatens to take twice on c3 and force White to give up castling rights, and to avoid this, White ends up having to exchange queens into an equal endgame, via 10.Qb3 or 10.Bxc6+ bxc6 11.Qe2+. These sort of endings are unattractive for most fans of this type of gambit. Therefore, I recommend that White avoids this line. One reliable counter is Mark Nieuweboer's suggestion of 7.Nc3 Bb4 8.Be3 (I don't, however, trust Martin Voigt's 8.a3) which typically leads to "isolated queen's pawn" positions. White should be aware of Black's deviation 7...Bxf3, which leads to a sharp ending with equal chances for both sides, and theoretically White is doing fine, although in practice White has tended to play sub-optimally and has got into difficulties, so it is worth getting a feel for the key ideas for White. 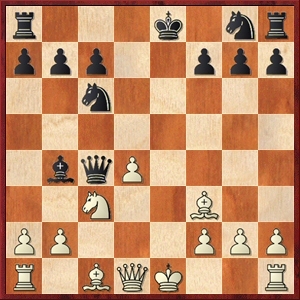 Another deviation is 5.Bd3, which amounts to a double-pawn sacrifice in view of the line 5...dxc3 6.exd5 cxb2 7.Bxb2 Qxd5, although in practice Black often persists in declining the gambit with 5...Nf6 6.e5 Ne4, or 5...dxe4 6.Bxe4 Nf6 7.Bxc6+ bxc6. 1. The rare 5.Bd3, looking especially at 5...dxc3 6.exd5 cxb2 7.Bxb2 Qxd5, but 5...dxe4 is also examined, which may be Black's best way of declining any gambits. 2. 5.Bd3 Nf6, which is an important response for Black, and often results in White sacrificing a pawn for compensation after 6.e5 Ne4 7.0-0 dxc3 8.Nxc3 Nxc3 9.bxc3. 3. 6...Nf6, with a close look at 7.Nc3 Bb4 8.Be2 Ne4, which is active-looking for Black, but may concede a small advantage to White. 4. The Capablanca Variation with 6...Bg4 7.Be2 Bb4+ 8.Nc3 Bxf3 9.Bxf3 Qc4. Marshall tried 10.Be3 against Capablanca, but the main game Bryson-Flear, Edinburgh 1985, and the notes, suggest that it is dubious for White. 5. White instead tries 10.Qb3 and ends up in an equal endgame. 6. White can also try 10.Bxc6+ bxc6 11.Qe2+, but the resulting endgame is even more drawish and is not recommended. 7. White plays 7.Nc3 Bb4 8.a3, which appears to be dubious. 8. Discussion of the sort of positions that typically arise after 7.Nc3 Bb4 8.Be3, which leaves Black with no good alternative to heading for the standard "isolated queen's pawn" type situations.